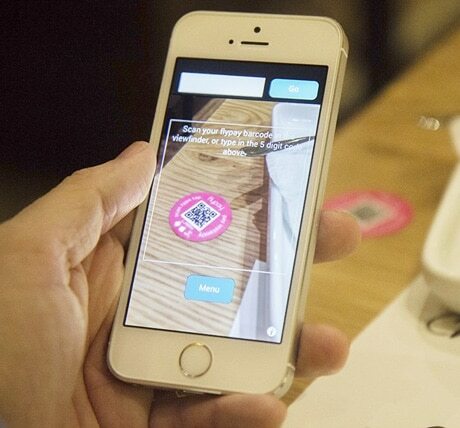 Flypay has raised £1 million from mobile payment specialist Entree Capital to further develop its restaurant-based mobile payment app, which uses NFC and QR codes to enable consumers to pay at their table at participating restaurants including UK-based chains Wahaca and Burrito Mama. Customers tap the NFC tag or QR code on the Flypay sticker on their table, to bring up their bill. They then have the option of paying in full or splitting it, using a debit or credit card that has been preregistered to the service. The solution, which aims to speed up payment and table turnaround times, is currently available as a standalone app in Wahaca, while Flypay has integrated its payment functionality into Burrito Mama’s existing mobile app. “We’ve had quite a number of calls from places, especially in Asia, but we really want to make the UK product great before we look at going anywhere else,” Evans said.